Tactical Medicine for Patrol is designed to familiarize law enforcement personnel or EMT-basic with the next operational level of first responder medical support. The course curriculum includes an overview of Tactical Casualty Care (TCCC), basic medical terminology, anatomy/physiology as it relates to trauma medicine. Individual First Aid Kit (IFAK), Airway Management, Chest trauma and Advanced Bleeding Control procedures including the latest in TCCC application. The course combines classroom learning and hands-on skill stations. Scenario assessment stations enable you to put your learning to work in simulated trauma situations. This course can be tailored to agency-specific needs. Lessons learned on the battlefield can be extended into civilian practice, particularly law enforcement. It is our hope to share our combat experience to enhance the peace keeper and peace officer relationship. 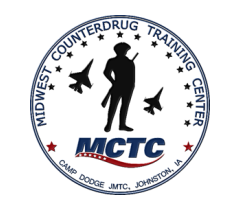 The Tactical Medicine for Patrol course is designed to familiarize law enforcement personnel with the skills necessary to support Self aid and Buddy aid within the unit or team. As the violence associated with drug activity and terrorism continues to increase, the ability to have medics trained, qualified, and skilled with this specialized talent is becoming a standard among tactical law enforcement. Tactical Medicine for Patrol is a 2-day course.